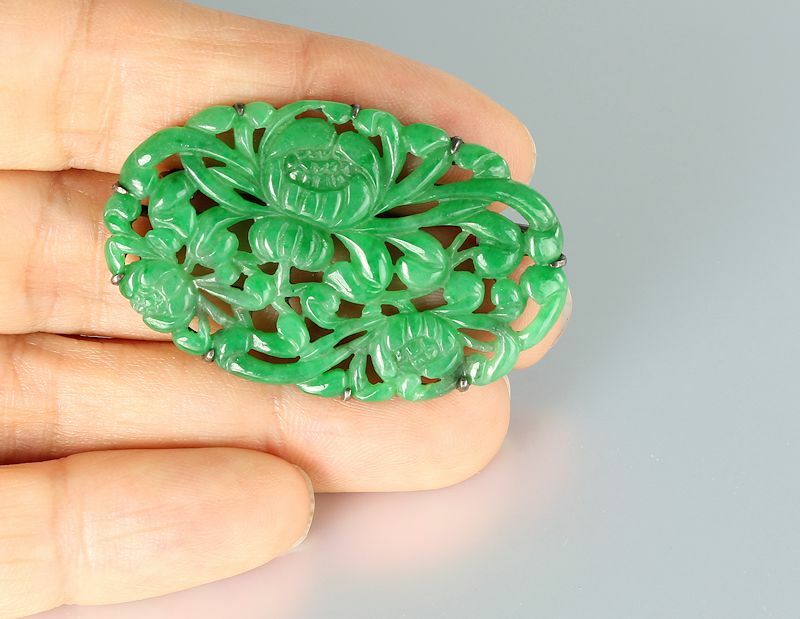 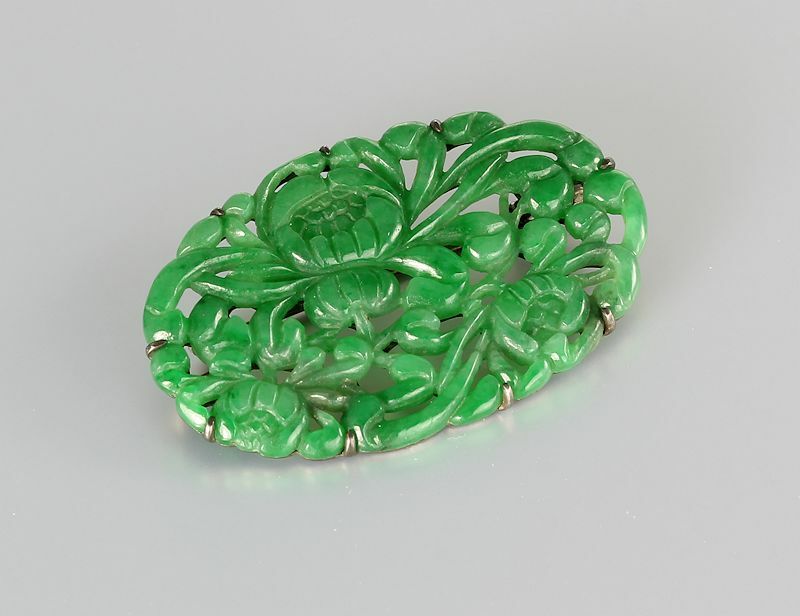 Magnificent antique Chinese pendant brooch, circa late 1800s. 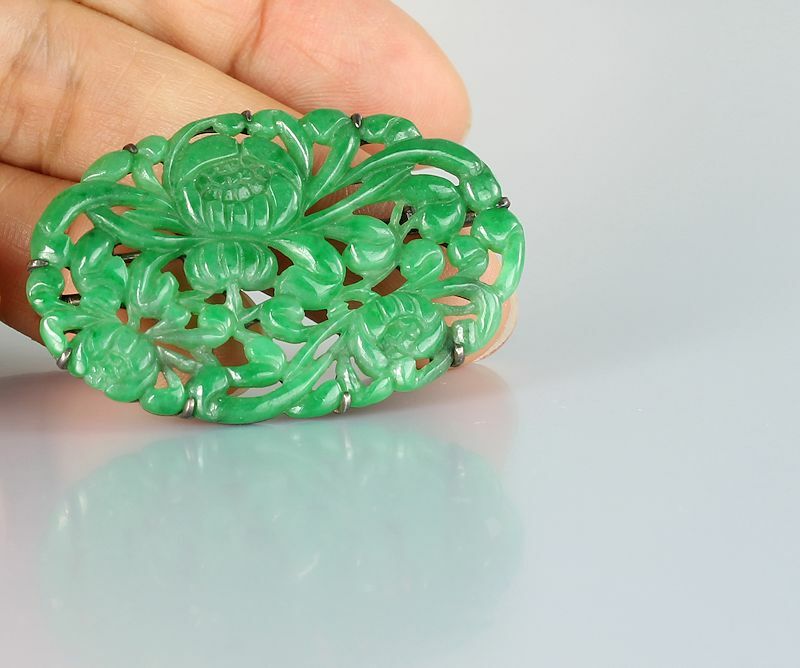 Jade is stunning, a darker green shade, uniform in color. 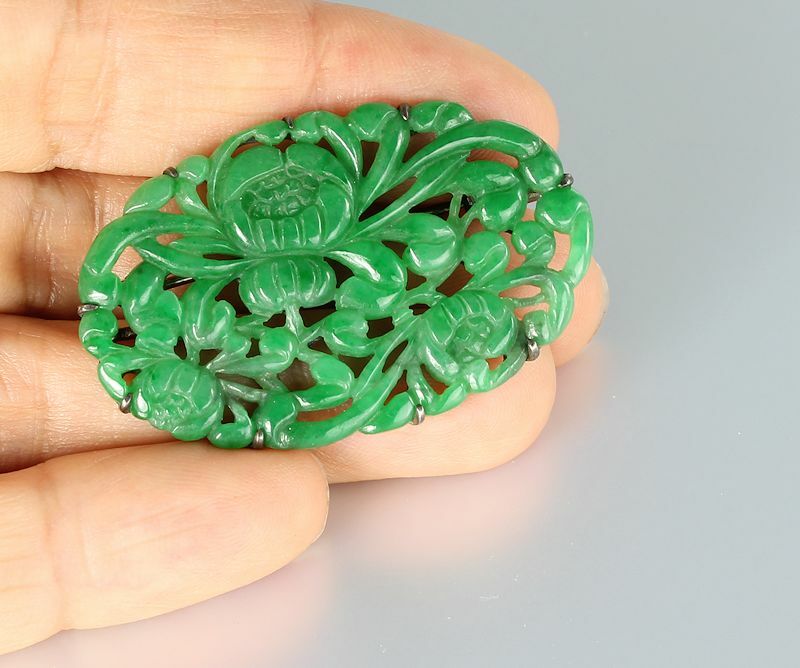 Carving is crisp with superb detailing of flower blossoms and arching stems. 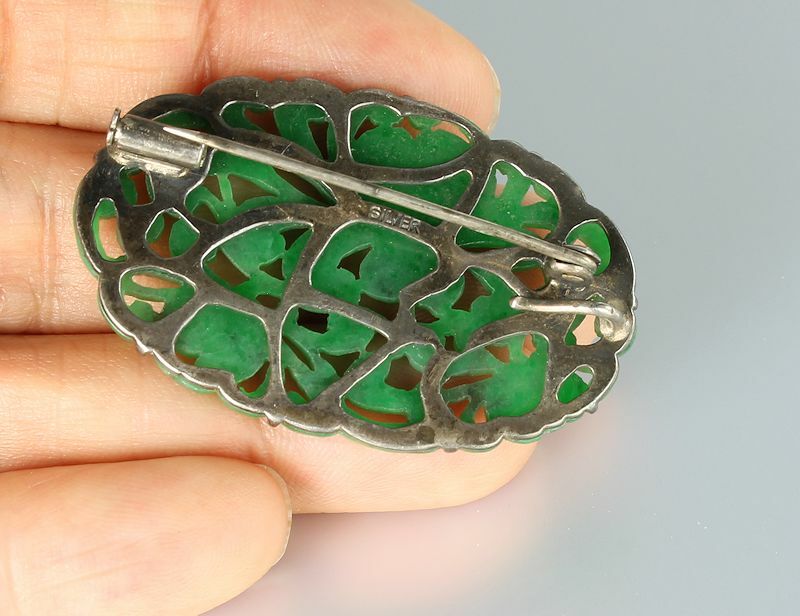 Brooch measures 1 5/8 inches by 1 inch and is marked SILVER on the reverse. 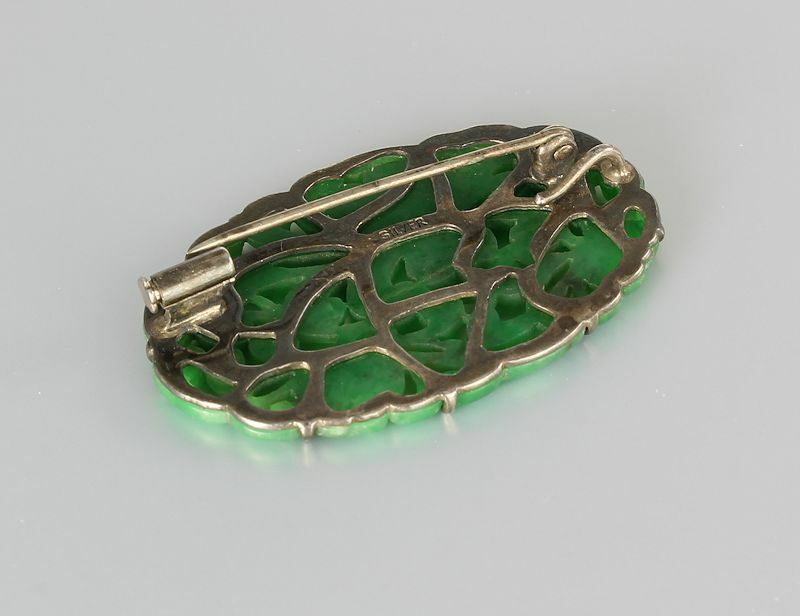 It can also be worn as a pendant, since it has an accommodating bale. 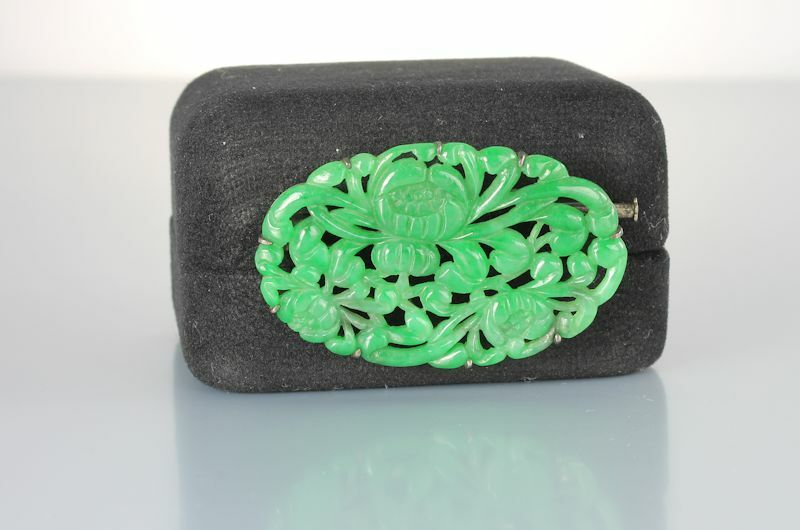 It is in excellent condition and an absolute beauty!